If you’re looking to get a glimpse into the history and culture of Central Europe, Prague is the perfect spot to choose as your base. The beautiful Czech capital is only a few hours away from gorgeous castles, historic cities, and incredible natural sights. There are many interesting and comfortable day trips you can take from Prague that will reveal the rich heritage of the region and provide you with memorable experiences. Although these places are not as famous as Prague, they are as fascinating as the capital. Only 80 kilometres east of Prague, Kutna Hora is a small medieval town where visitors can find one of the most unique sights in Europe, the famous Sedlec Ossuary. This is a small Roman Catholic chapel decorated in human bones and skulls from around 40,000 to 70,000 people, most of them killed either by the Black Plague in the 14th-century or by various wars. Located beneath the Cemetery Church of All Saints, the chapel is a UNESCO World Heritage site, and probably as terrifying as it is fascinating. Besides the Sedlec Ossuary, Kutna Hora has other interesting sights, such as the 14th-century Cathedral of St. Barbara with amazing open views over the town, a medieval Italian court, and the Hradek Castle. Kutna Hora is very each to reach as it is located only two hours away by train from Prague. The medieval town of Český Krumlov served as an important link on European trade routes from the 14th to the 17th centuries, and it is the most popular touristic destination in the country after Prague. With its historic architecture intact, the town is one of the most picturesque places in the Czech Republic. The central element of the town is the Český Krumlov castle, built in the 13th-century, which stands on a hill overlooking the river and from there, dominates the entire landscape. The castle is worth a visit for the views, but also for the stunning interiors and the massive, well-kept garden. Exploring the nearby woods is another great way to make the most of your day trip, especially as there are many hiking trails and cycling paths in the area. A direct train takes you from Prague to Český Krumlov in three hours. There are also local buses available, taking about the same time. Only two hours away from Prague, Karlovy Vary is another one of those places that transport you into a fairy-tale world. 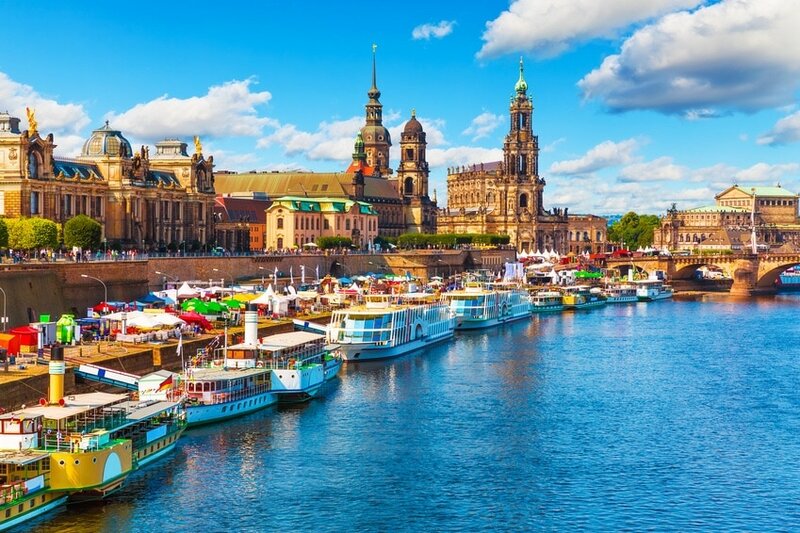 Although mostly known for its natural hot springs and thermal baths, this popular town is also incredibly charming, and a stroll along the canal that cuts through it will easily convince you of that. The whimsical and grand architecture adds an aura of timeless charm to the ambiance of the town, and for stunning views, visitors can take the funicular to the Diana lookout tower. Relaxing at one of the many spas, however, is in itself worth a visit. Another highlight is the Moser Glassworks Museum. If you’re interested in the history and the culture of the Bohemian region, Karlovy Vary is a great introduction. A local bus can take you from Prague to Karlovy Vary in around two hours. With their rich historic heritage, most places in Czech Republic seem taken out of a storybook, and Karlštejn Castle definitely fits the same description. One of the easiest day trips from Prague, the castle is in fact a completely restored medieval fortress located on a hilltop, from where you can get spectacular views over the quaint town below. The main attraction inside the castle is the Chapel of the Holy Cross, where visitors can see royal treasures and the crown jewels. Built in the 14th-century, this Gothic castle was the home of influential kings and preserves intact its grandeur. Surrounded by dense forest, it appears quite magical to visitors, and if you want to see it from different angles, numerous hiking routes are available in the area. There are also many amenities in place for tourists, including bars, restaurants, and antique shops. Karlštejn Castle is only a 40-minute train ride away from Prague, and it’s definitely the most accessible day trip from the capital city. Besides the picturesque beauty of its historic towns and cities, Czech Republic is also famous for producing some of the best beer in the world. The most popular and widely consumed beer in the country is Pilsner Urquell, which is produced in a city 60 kilometres southwest of Prague, called Pilsen. 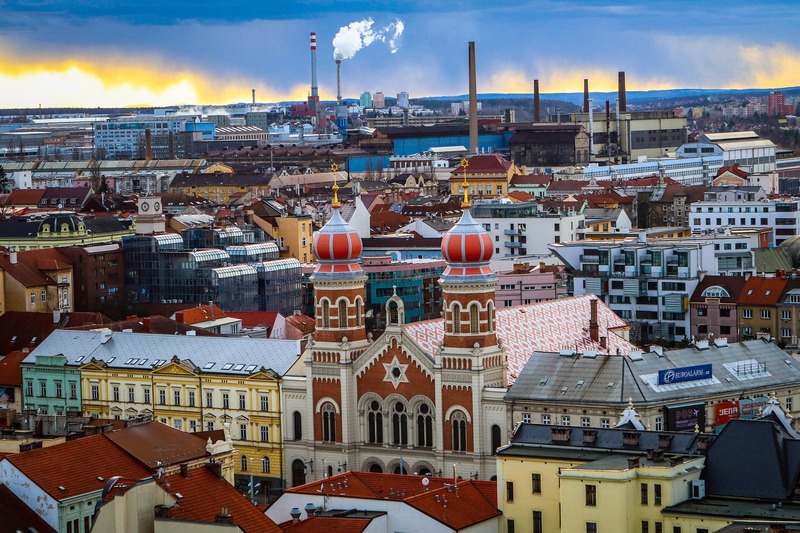 A visit to Pilsen will introduce to the secrets of the beer industry in the city and show you how much passion the Czechs have always put into making amazing beer. The highlight is the Pilsner Urquell Brewery, where pioneers in the field have innovated for decades. The factory includes a museum, the brewing plant, and several cellars. Here, you can discover the history of the entire process of production, storage, and consumption of beer. The tours naturally include beer tasting from barrels storing the freshest beer produced in the brewery. Trains leave Prague’s main station to Pilsen every hour. There are also local buses which take around 70 minutes to arrive. Looking for more European day trip suggestions?